The village pump was once the focal point of rural life, providing the only water supply to communities and offering a place in town squares and village greens for people to come together. Sadly, with the introduction of piped mains, the village pump rapidly fell out of favour, often neglected or removed from where they once proudly stood. 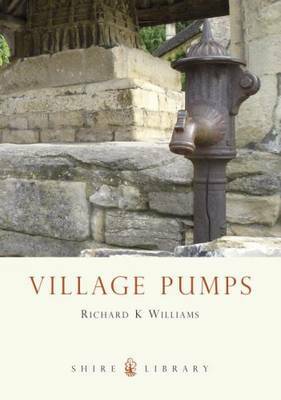 Richard Williams brings deserved attention to the history of the village pump, exploring the many different designs that existed and shedding light on the communities that relied upon them. As recent movements from parish councils and local history societies push to restore and renovate their village pumps, this book is a timely study of these rural relics, and includes practical advice on where to obtain expert help, replacement parts, and possible local authority financial assistance.